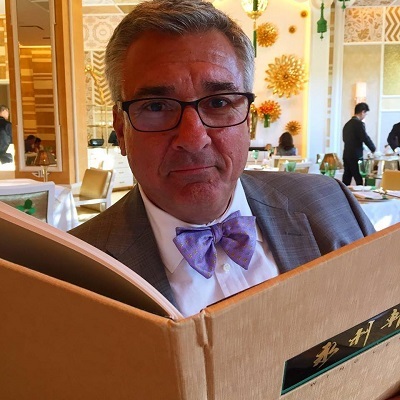 John Curtas has covered the Las Vegas food and restaurant scene since 1995. For 15 years, he was heard weekly on KNPR – Nevada Public Radio’s Food For Thought as its on-air restaurant critic. Since 2008, he has been the “Resident Foodie” on KSNV TV (NBC) Channel 3’s “Wake Up With The Wagners,” seen every Friday morning in Las Vegas. He is the author of “Eating Las Vegas – The 52 Essential Restaurants,” now in its seventh edition, and is the scribe behind the Eating Las Vegas website, where he chronicles his weekly eating adventures across Sin City. He describes himself as an imperious epicure who gets just as excited over a great burger or taco as he does about Lobster Thermidor (or some indecipherable molecular mess). Curtas also writes for VEGAS, Desert Companion and other local magazines, and modestly claims to have eaten in more Las Vegas restaurants, more often, than anyone ever. Follow John on his website: EATING LAS VEGAS or on Instagram. The newest edition of his dining guide: EATING LAS VEGAS - The 52 Essential Restaurants, 2019 is now available on Amazon. Restaurant reviews, quips, picks and pans-with some seriously salivating history-from the man who eats his way through Sin City every day. In "Eating Las Vegas, 2019" the authors spotlight the 52 restaurants they could all agree are essential stops for foodies, visitors, and locals seeking an unforgettable meal. Want to find the essential eats in Las Vegas on the go? Download our app to discover the best places to eat in over 275 cities.